After some ups and downs, Lara Croft has been riding quite the high streak. 2010 saw the solid release of Lara Croft and the Guardian of Light and last year’s Tomb Raider was incredibly well received (read our review of the Definitive Edition here). 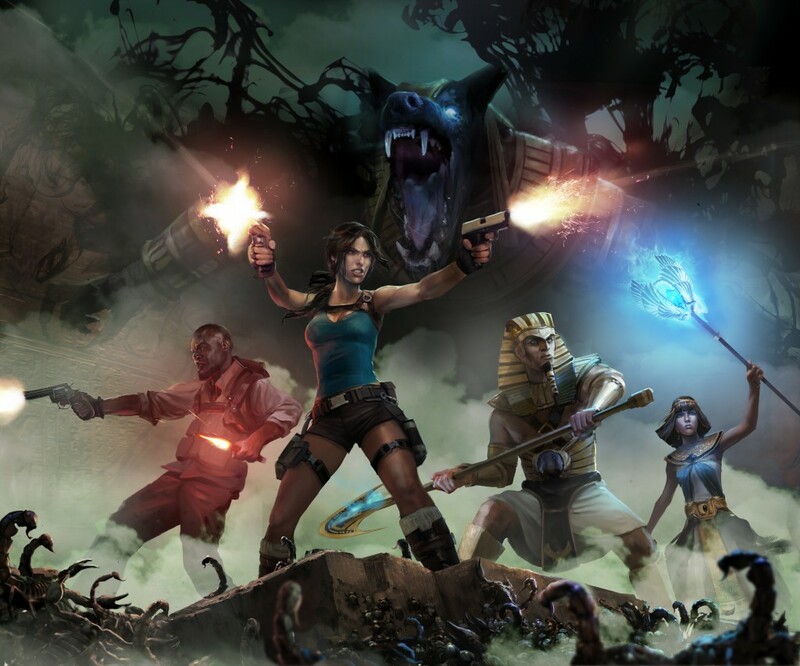 While gamers are eagerly anticipating the next game of the reboot continuity, they’ll be able to get their Tomb Raider fix later this year with Lara Croft and the Temple of the Osiris, featured at this year’s Comic Con. Temple of the Osiris is a direct sequel to Guardian of the Light and maintains the same style of art and gameplay. This time around, Croft winds up cursed with a fellow, hot-headed archaeologist named Carter Bell and the two get trapped in an ancient Egyptian temple. Of whom? The titular Osiris, of course. 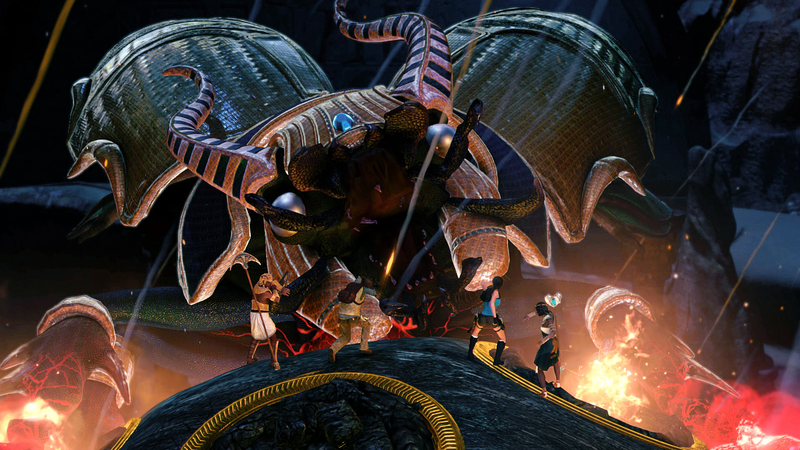 Temple, though, expands the roster of characters by allowing upwards of four players to play co-operatively. The demo I ran through took about 20 minutes and showed a fair amount of the game’s features. 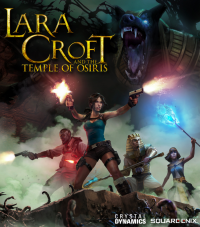 Lara will have her standard abilities of dual pistols, grappling hook and torch, with the added Staff of Osiris, which emits a powerful beam that was noticeably enjoyable to play with. The demo started off with Lara alongside four partners, but as I moved forward, nobody went along with me. I tested some controls but was never able to force them to come along, nor did the game automatically push them forward. Lara’s voice over work referenced them as I progressed, encouraging them to move along, so I’m assuming they were meant to join me. They did not, so it was either a quirk with the demo or not entirely required and they’ll be around for co-op mode when needed. Still, the demo was enjoyable. Most of the puzzles weren’t too difficult to work my way through, but the “physical elements” offered a nice challenge. Puzzle elements were not lost in fights, though, as it took a few tries to get the perfect type of positioning on bomb traps to blow away some enemies. Still, the camera was always in a perfect position to show your enemy positions and keep you in a fair fight. Perhaps due to the lack of multiplayer, I was able to use the aforementioned staff. I would have preferred to get some co-op mode in, but it was not available at the time. That gameplay will offer you the ability to accumulate amulets to spend on various abilities between your teammates. As with Guardian of the Light, Lara Croft and the Temple of the Osiris will be a download-only release later this December on PC, PlayStation 4 and Xbox One.